Nestled in the heart of Capitol Hill on Millionaires Row, the Patterson Inn offers an unforgettable experience as one of Denvers elite lodgings & national historic landmarks. 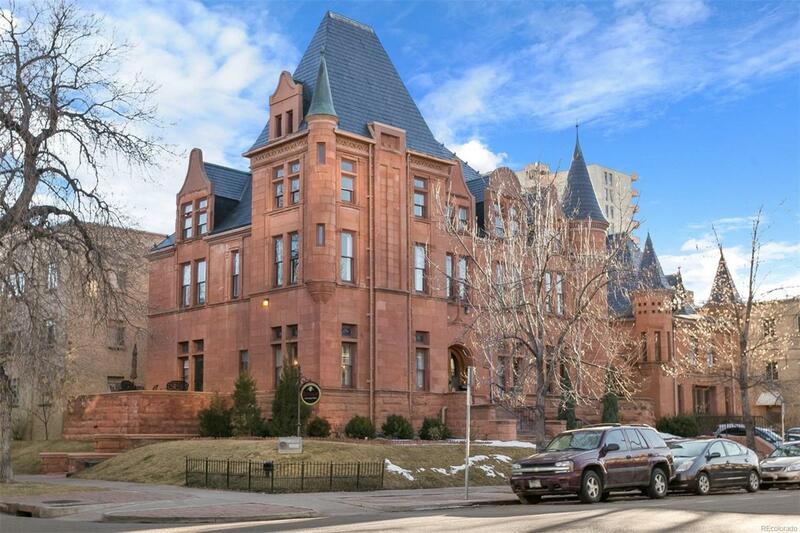 The red-hued sand stone castle sits perched on the corner of 11th & Penn, displaying it's peaked roof & turrets. Built in 1891 by Thomas B. Croke, this stunning turn-key Chteauesque mansion, currently run as a Bed & Breakfast, has been completely restored to it's original beauty. Newly restored original stained glass windows & stately mahogany trim showcase it's rich turn-of-the-century history. There is a large mini-replica carriage house above an event space that accommodates 50 people. Enjoy richly decorated, well-appointed suites each w/ their own unique theme & modern amenities. Molly's Pub offers a daily wine hour for guests. Elevator installed in 2012 / ADA accessible. Sale includes furnishings in all suites. An incredible opportunity to own an enchanting piece of Denver history bed & breakfast business!